Lower Costs – It is estimated that one Automotive Manufacturer direct salesperson can cost a vendor 1.5 to 2 times as much as hiring BC Marketing with multiple sales reps. Predictable Sales Costs that are Directly Proportionate to Sales & Services Performed – BC Marketing is only paid on commission. No salaries to carry! Eliminated Fixed Costs – BC Marketing requires zero up-front costs, no fixed salary costs, no fixed overhead costs, no travel, training, benefits, or Human Resource administrative costs. A Shared Costs Approach to Marketing – BC Marketing is able to spread the operational cost of running their sales force over multiple streams of income because they typically call on accounts for multiple product lines. This results in enormous savings for each vendor. Immediate Access To The Market — BC Marketing is made up of experienced salespeople already entrenched in and familiar with the territory, its customers, the politics of the market, and its geography. BC Marketing knows the customer base on a deeper level and its employees usually have lived in the market for years. Every Customer Interface Helps the Vendor – All sales calls, service calls, fieldwork, and interactions with the customer helps BC Marketing build a relationship with the customer. 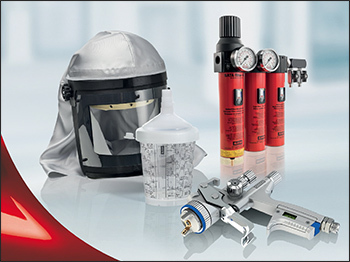 Time spent with customers on any product line can lead to promotion of all manufacturers’ product lines. Never Out-of-Sight-Out-of-Mind – BC Marketing employees are constantly in front of the customer. Once a direct salesperson has made their pitch, he does not have the luxury of coming back without an appointment. BC Marketing employees always have a reason to be in front of the customer. Entrepreneurial by Nature – BC Marketing possess entrepreneurial characteristics: They can spot opportunity, have an independent spirit, enjoy hard work, are self-confident and disciplined, possess good judgment, are adaptable to change, manage stress well, are goal oriented and profit focused. Aggressive By Nature – BC Marketing representatives are hungry by nature. Since reps pay their own expenses, they are always looking to close new business. Employees of BC Marketing must sell to live. Salespeople that are not aggressive are in the wrong occupation. In sales you are either growing or you are dying. Consistent – Because BC Marketing pays their own expenses and are not paid if they do not sell something, they constantly provide results. They do not have the luxury to go through the motions. BC Marketing needs to perform consistently for their customers and their vendors because their reputation is everything. A Different Viewpoint – BC Marketing can invigorate a product line by providing fresh ideas and feedback on how to promote, market, and sell products to the marketplace. BC Marketing knows what works for vendors in their markets and can draw from previous experience with various methods, techniques, and tactics. Better Market Intelligence and Feedback — Since BC Marketing carries a mix of products and has a wide base of customers. Many times they can sense market changes and opportunities earlier and more accurately than direct reps that focus solely on their own product line. BC Marketing is a great source of competitive market intelligence. 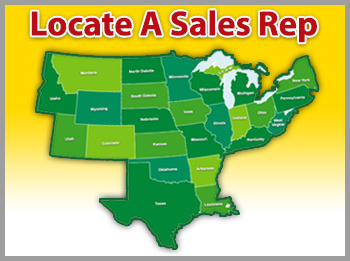 Get Started Now By Locating A Sales Rep In Your State!